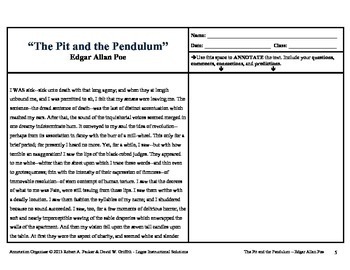 All the Edgar Allan Poe short stories include our “Side-by-Side” Annotation Organizer which contains the complete short story designed with space right next to the text for student annotations and teacher comments. 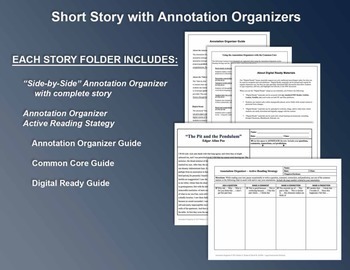 We included a second organizer, the Annotation Organizer – Active Reading Strategy that can be used for anything from teaching basic annotation skills to regular student annotation. These special PDFs allow students to enter, edit, highlight, and save text directly in the PDF document. They also can be uploaded to services like Edmodo and Google Classroom for students to download. 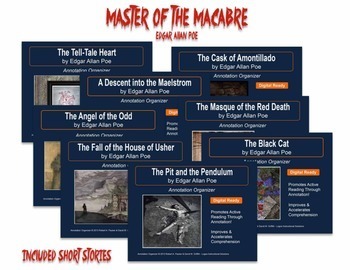 ✋ NEED MORE SHORT STORIES??? 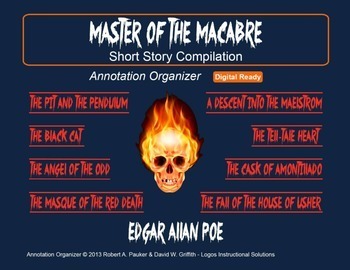 All Edgar Allan Poe - Master of the Macabre full text short stories are included for free.